THE HAGUE, Netherlands — The United States has revoked the visa for the chief prosecutor of the International Criminal Court, her office said Friday, over a possible investigation of American soldiers' actions in Afghanistan. Prosecutor Fatou Bensouda would continue to pursue her duties for the Hague-based court "without fear or favour" despite the ban, her office said in a statement. "What we can confirm is that the US authorities have revoked the prosecutor's visa for entry into the US," the Office of the Prosecutor of the ICC said in a statement. 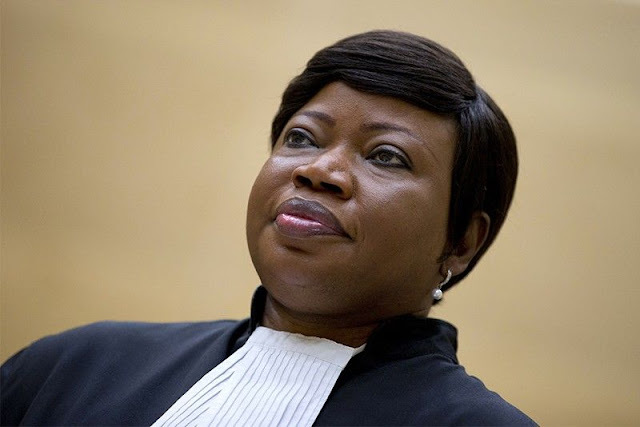 Bensouda's office said that under the Rome statute governing the ICC -- which Washington has declined to join since it was set up in 2002 -- she had an "independent and impartial mandate". "The prosecutor and her office will continue to undertake that statutory duty with utmost commitment and professionalism, without fear or favour," it added. The US decision was not expected to impact Bensouda if she is travelling to the United Nations in New York where she gives regular briefings to the UN Security Council on investigation, it said. There was no immediate comment on Bensouda's visa ban from Washington. However, the administration of US President Donald Trump has struck preemptively, with Pompeo warning on March 15 that the ICC was "attacking America's rule of law". Pompeo said he was "announcing a policy of US visa restrictions on those individuals directly responsible for any ICC investigation of US personnel." "If you're responsible for the proposed ICC investigation of US personnel in connection with the situation in Afghanistan you should not assume that you still have, or will get, a visa or that you will permitted to enter the United States," Pompeo added.